Congratulations to our beloved pastor, Father Roman, who was made Dean of the Central States Deanery this past week by Bishop Mercurius, while he was here for the 11th Convocation of the Patriarchal Parishes in October 2007. Fr. Roman had been Assistant Dean. The previous Dean, Fr. Feodor Kovalchuk, asked to be relieved of his duties as Dean, due to his seriously impaired health, and therefore Fr. Roman has become the new Dean. We offer prayerful thanks and gratitude to Fr. Feodor for his 26 years of dedicated service to the Moscow Patriarchal Parishes as Dean of the Central States Deanery. He had been Dean since the repose of the previous Dean, Fr. Photius Donahue, on November 1, 1981. Congratulations to our Fr. 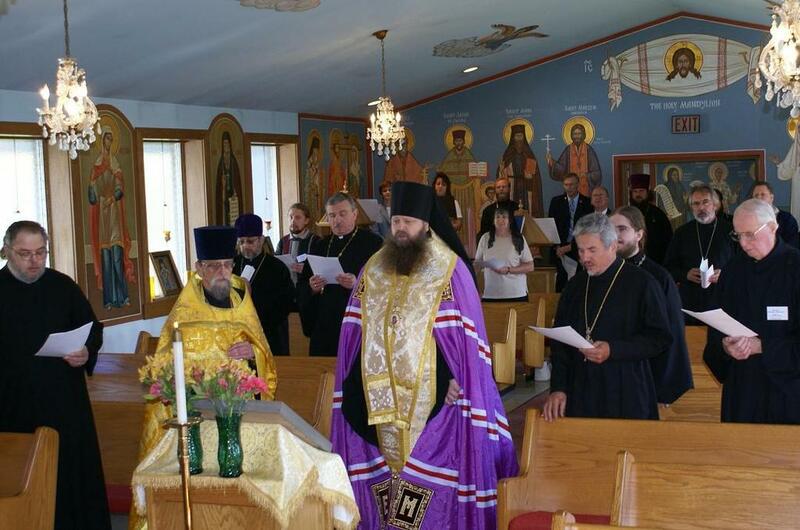 Protodeacon Daneil Shirak, who has officially been assigned to serve full-time as Deacon at St. Innocent Church, and is now allowed to serve at all Divine Services. Bishop Mercurius made this announcement when he was at St. Innocent Church on October 25, 2007. St. Innocent parish was blessed and honored to have our Bishop Mercurius in our temple on Thursday, October 25, 2007, and to have him to bless our new icons, after he and Fr. Roman served a Moleben (prayer service) for Travelers, in the presence of many clergy and lay delegates at the Convocation of the Patriarchal Parishes, held at nearby St. Michael’s Church from Tuesday to Thursday. Our bishop also praised and congratulated Fr. Roman for his dedicated work in the service of God, and announced that Deacon Daneil was now officially assigned to our parish.